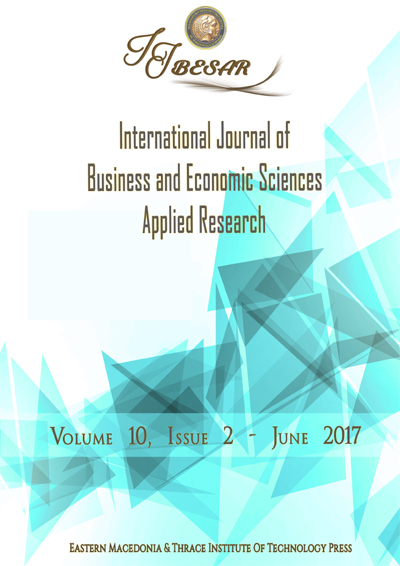 Editors evaluate submitted manuscripts exclusively on the basis of their academic merit (importance, originality, study's validity, clarity) and its relevance to the journal's scope, without regard to the authors' race, gender, sexual orientation, ethnic origin, citizenship, religious belief, political philosophy or institutional affiliation. Decisions to edit and publish are not determined by the policies of governments or any other agencies outside of the journal itself. The Editor-in-Chief has full authority over the entire editorial content of the journal and the timing of publication of that content. Editors and editorial board members will not use unpublished information disclosed in a submitted manuscript for their own research purposes without the authors' explicit written consent. Privileged information or ideas obtained by editors as a result of handling the manuscript will be kept confidential and not used for their personal advantage. Editors will recuse themselves from considering manuscripts in which they have conflicts of interest resulting from competitive, collaborative, or other relationships/connections with any of the authors, companies or institutions connected to the papers; instead, they will ask another member of the editorial board to handle the manuscript. Editors (in conjunction with the publisher and/or society) will take responsive measures when ethical concerns are raised with regard to a submitted manuscript or published paper. Every reported act of unethical publishing behavior will be looked into, even if it is discovered years after publication. ERSJ editors follow the COPE Flowcharts when dealing with cases of suspected misconduct. If, on investigation, the ethical concern is well-founded, a correction, retraction, expression of concern or another note as may be relevant will be published in the journal. Peer review assists editors in making editorial decisions and, through editorial communications with authors, may assist authors in improving their manuscripts. Peer review is an essential component of formal scholarly communication and lies at the heart of scientific endeavor. ERSJ shares the view of many that all scholars who wish to contribute to the scientific process have an obligation to do a fair share of reviewing. Reviews should be conducted objectively, and observations formulated clearly with supporting arguments so that authors can use them for improving the manuscript. Personal criticism of the authors is inappropriate. Unpublished material disclosed in a submitted manuscript must not be used in a reviewer's own research without the express written consent of the authors. Privileged information or ideas obtained through peer review must be kept confidential and not used for the reviewer's personal advantage. This applies also to invited reviewers who decline the review invitation. Authors of original research should present an accurate account of the work performed and the results, followed by an objective discussion of the significance of the work. The manuscript should contain sufficient detail and references to permit others to replicate the work. Review articles should be accurate, objective and comprehensive, while editorial "opinion" or perspective pieces should be clearly identified as such. Fraudulent or knowingly inaccurate statements constitute unethical behavior and are unacceptable. Authors should - at the earliest stage possible (generally by submitting a disclosure form at the time of submission and including a statement in the manuscript) - disclose any conflicts of interest that might be construed to influence the results or their interpretation in the manuscript. Examples of potential conflicts of interest that should be disclosed include financial ones such as honoraria, educational grants or other funding, participation in speakers' bureaus, membership, employment, consultancies, stock ownership, or other equity interest, and paid expert testimony or patent-licensing arrangements, as well as non-financial ones such as personal or professional relationships, affiliations, knowledge or beliefs in the subject matter or materials discussed in the manuscript. All sources of financial support for the work should be disclosed (including the grant number or other reference number if any). Authors should ensure that they have properly acknowledged the work of others and should also cite publications that have been influential in determining the nature of the reported work. Information obtained privately (from conversation, correspondence or discussion with third parties) must not be used or reported without explicit, written permission from the source. Authors should not use information obtained in the course of providing confidential services, such as refereeing manuscripts or grant applications, unless they have obtained the explicit written permission of the author(s) of the work involved in these services. Authors are obliged to participate in the peer review process and cooperate fully by responding promptly to editors' requests for raw data, clarifications, and proof of ethics approval, patient consents and copyright permissions. In the case of a first decision of "revisions necessary", authors should respond to the reviewers' comments systematically, point by point, and in a timely manner, revising and re-submitting their manuscript to the journal by the deadline given. When authors discover significant errors or inaccuracies in their own published work, it is their obligation to promptly notify the journal's editors or publisher and cooperate with them to either correct the paper in the form of an erratum or to retract the paper. If the editors or publisher learns from a third party that a published work contains a significant error or inaccuracy, then it is the authors' obligation to promptly correct or retract the paper or provide evidence to the journal editors of the correctness of the paper. Decision for publication is announced within 30 days from initial submission. Get the maximum out of your paper with proof reading or proof editing upon request. After publication, authors will receive a specially designed PDF form of their paper. Dinstinguished reviewers will receive a certificate from the Journal. Subscribe to our newsletter to be updated on latest news and Issues of IJBESAR.